Copyright �2012 PopEntertainment.com. All rights reserved. Posted: June 10, 2012. Everything old is new again. Therefore, it should come as no real surprise that thirty years after the world was rapt with speculation about "Who shot J.R.?" that Dallas is coming back. That's right, TNT is returning to Southfork Ranch to bring us the new adventures of those high-living and back-stabbing Ewings. Dallas was the ultimate TV representation of the "greed is good" decade: a glitzy world of powerful men, beautiful women, big business, big aspirations, big emotions, big double-crosses, big hats, big hair and big shoulder pads. In case you spent the decade in a sensory deprivation tank, Dallas was the story of the Ewing Brothers, J.R. (Larry Hagman) and Bobby (Patrick Duffy) who tussled over their family business and their family homestead. Accompanied by their beauty queen wives Sue Ellen (Linda Gray) and Pam (Victoria Principal), the Ewing boys rode herd on the Texas business world and broke quite a few laws and commandments in doing so. The new Dallas has many of the original cast members - Hagman, Duffy and Gray are all series regulars and other original series cast members like Charlene Tilton, Ken Kercheval and Steve Kanaly pop in periodically for cameos. Of the major characters, only Principal is apparently not coming back, and that is because her character was killed off in the later years of the original series. Still, the character was dying in the original series, but never was pronounced dead, so don't totally write off a surprise appearance. However, the war for Southfork has been passed down to the new generation of Ewings, John Ross (Josh Henderson) and Christopher (Jesse Metcalfe). With their gorgeous significant others (Jordana Brewster and Julie Gonzalo) the cousins take up the tussle for family and business supremacy. We recently were lucky enough to speak on the phone with four stars of the new Dallas - old hands Patrick Duffy (Bobby Ewing) and Linda Gray (Sue Ellen) as well as the young bucks Jesse Metcalfe (Christopher) and Josh Henderson (John Ross). We even had a cameo appearance by old J.R. himself, Larry Hagman, who stated "I've been thrown out of better places than this," when Gray shooed him away from the phone for interrupting the interview. How do you feel that the new series is different from the old one? And in what ways is it the same? Linda Gray: It took a diamond and polished it. What can I say? It's magic. 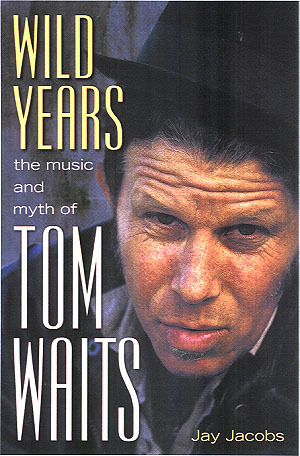 It was magic in 1978 and it's got a little 2012 fairy dust sprinkled on it. It's just wonderful. Josh Henderson: I like that answer. Linda Gray: That was a good answer. Jesse Metcalfe: I�d say it�s a more contemporary version of the original show. I don�t think we�ve changed what made the original series great. The show still centers around these major themes of family dynamics, greed, loyalty, love and betrayal. We�ve just updated it. We made it modern and definitely socially relevant to the times. In addition to that, we added some new characters. Obviously, Christopher and John Ross were established in the original series, but you get to see the type of men that these two children have grown up to be. We also introduced the character of Elena Ramos, who is one side of the love triangle between me, Josh Henderson and Jordana [Brewster]. She�s the daughter of the Ewing housekeeper. She definitely wasn�t a part of the original series. Then we also have my fianc�e, Rebecca Sutter, played by Julie Gonzalo. It�s a great marriage of the original show and the original cast and some new cast members. Josh Henderson: It's everything that made the original so great and so magnetizing that people had to run back to the TV every week. They really did well transcending that into the new generation of Dallas. For me and the cast, our main goal is to satisfy the original fans of the show, give them what they want, give them what they've been missing for 21 years. Hopefully some of the younger generation can bring in the younger people. I think as long as they give us a shot, they'll truly, really enjoy the show. What's great about this one is that you don't even have to have ever seen the original to really be able to hop on board with these storylines. That's how good the show is. My little sister is 21 in college. She knew of Dallas, but obviously she was too young to have seen the original. She's seen the first couple of episodes and she is just blown away and in love with it. I think that we can really span generations. We just want the fans to be satisfied. We really want them to be happy. Linda Gray: I think that when it first began, there were a lot of people that didn't know quite what it was. Was it a nighttime soap opera? What was it? I think that it was all about timing. I always go back to that. In television historically, there's always been shows that were perfectly timed. I Love Lucy was at a perfect time. There were a lot of doctor shows, now there's a lot of reality shows. I think that in 1978 it was a perfect time for something bigger than life. People wanted to see something big, like oil - like the movie Giant. They wanted to see people with money, they wanted oil and big shoulder pads and cars and all that stuff. They wanted to see family dynamics. The original fans were connected to what happens when you have all that money and you have all these problems. It's dysfunction at its' finest, so I think people were initially drawn to all of that. They saw the business dealings of J.R. Ewing, which attracted a lot of the men to the show, so they thought, "Wow, look at this guy. He's a bad guy and we like him," right? That was confusing at first to people. It's like, "Wow, we really like that guy. He's really doing all these ridiculous things." Then they loved the way that he treated his wife, because then they could feel sorry for Sue Ellen and then be beating up on him. Then the intrigue started and it was all about the water cooler - people were talking about it the next day. There was a groundswell that happened and it just built and built and built so that it was just a magnet so it attracted everybody. This is just a continuation of all the people that had all of those things fulfilled. Again, to me it's all about timing. It's another perfect time. What was it like to hear the news that they were recreating the show? And did you ever see it coming back as a series? Patrick Duffy: No, because I didn�t think that anybody knew how to do it as a series again. The real brains and heart behind the show is our executive producer, Leonard Katzman, and he died. [There were] All of these other attempts to write scripts and to promote a movie or a television show that fell so far short of what the original concept was. I didn�t think anybody had the ability anymore. Then Cynthia Cidre wrote a script and it was submitted to Larry and Linda and myself. It was phenomenal. The pilot script for the show had everything even better than I would say half of the original Dallas scripts that we got. So from the moment, the three of us read it we were onboard. It was the first time I ever thought it was a possibility of returning as a series. We filmed the pilot. I was sure that we were going to series. I was sure we were going to do this show. I�m still as optimistic that it�s going to go for years and years, because the quality of it is so satisfying, having done the show for 13 years to see how well it can be redone again in 2012. I would be more than happy if this were my swan song. Linda Gray: I've known these crazy boys for 35 years. And it gets better and better and better every year. We started out, we all had families and on the show there were deaths and divorces, and births, and all kinds of wonderful things that happen in normal families, but this was our Dallas family. And now we're grandparents, all of us, and we are about five years old, the three of us. So we hang out, we laugh, we love, we're just connected at the hip and here to make this show absolutely magical, and I think it is. Was it like returning home in some ways? Linda Gray: It was. I use the word seamless, because it seemed as if we had shot this about a month ago. Nothing was different. Dallas, the city had changed, and grown and become more art conscious. They have a beautiful art section. And everything about it is enhanced. So, you know, we're just quite pleased about the way it all came about. As younger actors did you know about this show at the time? Were you familiar with the older one? Josh Henderson: I was yeah. I'm originally from Dallas, Texas. I was born there so it was a very popular thing for my family. My memaw - my grandmother - Dallas was her favorite show. She always said, "being from Dallas, Texas you go to church and you watch Dallas." That's what you do out there. So it was definitely something that I knew of. I was a little too young to remember actual details of the show, but I definitely knew of how big of a deal it was as a child. What was it about the show that really captured you and made you say I want to be apart of this version? Jesse Metcalfe: It was the writing. It was the pilot episode, that initial script that I read. To be honest, and I think this probably speaks to our critics a bit, I was a bit hesitant to even audition for the new Dallas, because I wasn�t sure remaking such an iconic show was a good idea. With the wave of remakes and reboots of various different shows over the past five years, it�s really been a trend. Most of which weren�t very successful. I was definitely hesitant. But after reading that pilot episode I was like, wow, this is really good story telling. The characters are really well defined and complex. And I was like, wow, I think I want to throw my hat in the ring. You know, Initially I auditioned for the role of John Ross. There was some interest there, but they ended up going with Josh Henderson, who I think is perfect casting for the role. They came back to me for Christopher and I was even more excited for that role. I think the thing that, you know, really pushed it over the top for me was that Larry, Patrick, and Linda were going to be a part of the new series, which I think is completely necessary. I don�t think we�ve could�ve done the new series without the original cast members. I mean, I know we don�t have all of them, but at least the big three, as we like to call them. You can tell that Larry Hagman still has so much fun with the role of J.R. What's he like to work with in that role? Josh Henderson: Well for me, when I found out that I was actually going to get to play his son, [it was a] huge day for me in my life just because I know how big of a deal the original was. I just couldn't imagine the amount of fun that I was going to get to have playing John Ross - playing ball with the great J.R.. He has this energy that just takes over a room. It can be overwhelming and it made me step my game up. I had to, to go toe-to-toe with him a little bit. At the end of the day I am his son, so I knew that there was never going to be a dull moment with him. And I can tell you, we go through a great journey in Season one. Josh Henderson: There's a lot of layers, huh? Did you get any tips from Larry on how to play more of the dastardly side of John Ross? Josh Henderson: The first thing he ever said to me when we were on set was, "Enjoy the ride." He literally just said, "Have fun. Enjoy the ride." I mean, with this show, Dallas does bring a whole new ride to your life and I think what made the original so special was that Larry, Linda, Patrick - the original cast - they truly had fun and they really like each other. When that happens, you can trust your coworker or the actor that you're with in the scene more, meaning that you can go deeper with the characters to make a better TV show. So he really just said, "Enjoy the ride," and they have embraced the new generation unbelievably. They just made us feel so comfortable from day one. I guess they had a lot of trust and faith in us as the new generation. Us being so comfortable, them making it so comfortable really helped the entire dynamic of the show and the character relationships and everything else. What are some of the storylines that you can tease this season? Linda Gray: Now it is the perfect timing. I'm always about timing. I think Dallas originally started at perfect timing in history, and how its now perfect timing again when both Christopher and John Ross are grown-ups. They each have their own values and their own focus on where they want to go with their lives, and with whom. There's obviously a rivalry, and this competition. There's all these wonderful things that one would expect from the show. There's a love triangle. So it takes all of the things that were with the original show and it just kind of amps it up. There's a little cayenne pepper thrown in here. So we're just taking what it was and amping it up a little bit. A lot. I was just wondering if Sue Ellen might come in there maybe tip things a little bit or maybe push John Ross on. Josh Henderson: John Ross is really trying. He's at a pivotal moment in his life where he's trying to really make his presence known as a businessman. He only knows one way to do business, and that's how he's seen his father do business. It might not be in everyone's mind the best way, but in his mind it's the only way, and he knows that it gets stuff done. In his mind, he learned from the best. At the end of the day he doesn't have a great relationship at this point with either of his parents. He kind of feels like he's on his own. I know that he at some point would love to be able to confide with his mother, but he just doesn't really. He's not comfortable with that as of right now, where he's at. He's really kind of trying to do things on his own and put his foot down and put his footprint in this whole Ewing legacy. He definitely is somewhat like his father and I know his mother is now at the point where she's kind of trying to give him some advice and hoping that he'll listen, I guess. Sue Ellen seems to be a very supportive character as well as when it comes to Elena helping to try and help him find oil but then it seems she's interactive with the other characters on too much of a whole yet and I was just wondering, what might her role be as we go on in the series? Linda Gray: She's got a wonderful arc to the entire first season. I say first season because I'm totally convinced that there'll be several more. So first season, she has a wonderful arc. She starts off a little small in the beginning and goes through the usual trying to be supportive to her son. There's a lot of motherly guilt there. She's a very, very powerful woman. She's a powerhouse this time. So it's an interesting character for me to play because it's an entirely different Sue Ellen. For an actor, that's the great part. You can play it for 13 years one way and then all of the sudden, we have a new woman who's transformed and emerged into a really fully-blown woman and she's very powerful. It's great to play that. I�ve seen the first seven episodes and I�ve been really impressed. Among those first seven do you have a favorite scene that you�ve done or favorite moment from the first few episodes that you could each talk about? Jesse Metcalfe: I probably have a favorite moment from every episode. It�s really difficult for me to pick just one scene. The fun thing about this show is that it�s a magnificent ensemble. Every single day you get to work with a different actor. I love working with all these different actors on the show for different reasons. But I�d say, from the pilot episode, my favorite scene would have to be the scene where Christopher confronts Elena about possibly betraying him and about the email. [And] Patrick and I have had a number of really strong scenes. I don�t know, what do you think, Patrick? Patrick Duffy: Well it�s interesting to me, because several of my favorite scenes didn�t make it to the show. That�s what�s interesting: that these scripts are so compact and so intense. And every scene is so brilliantly done. You finish filming and you think I can�t wait to see that. And then it�s edited out. Because, you know, you just can�t put everything in each episode. It still exists somewhere; especially when it comes out on a DVD there will be additional scenes as an ancillary side to the DVD. So they will exist at some point. You have to as an actor let that go. I had a scene with Jesse in a barn, which they only kept the lead in scene to that. They eliminated it. And it was one of my favorite ones of that episode. But over the years I�ve learned to let those feelings go and just enjoy what I see. Most of my new scenes that I have with my wife, with Brenda Strong, are really satisfying, because that to me is the big test. To find someone who would be the new Mrs. Bobby Ewing is a tough decision that casting had to make. It was a tough role for somebody to accept and Brenda is so good and I feel like when I watch us on camera anymore that we�ve been married for 20 years. There�s just an ease that we have with each other that makes those particular scenes very enjoyable for me. And I like being a father. So every time I work with Jesse it�s another level of satisfaction. Will you or any of the other cast be at the TNT Upfronts Event in New York City in the next couple of weeks? Patrick Duffy: Everybody short of the family dog is going to be in the TNT Upfronts. Have you been able to take any souvenirs, like your Stetsons on the hat from the show or anything else that you're really going to remember from your time? 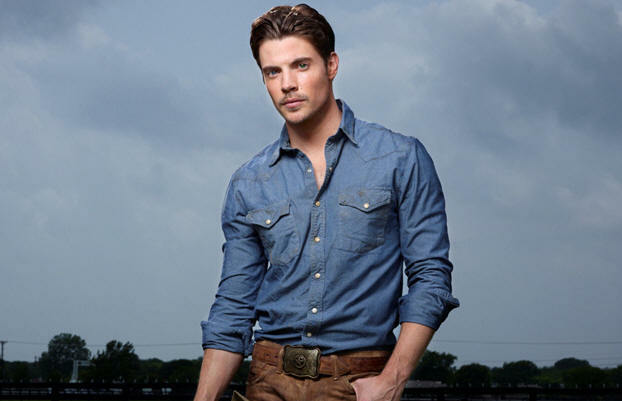 Josh Henderson: I definitely took home my cowboy boots that I wore all season. I became accustomed to those. For me it was just about coming back home. I'm originally from Dallas, Texas. So I got to come back and shoot the show that put this city on the map, which was just a huge honor and a blessing for me. When it comes to memorabilia from the show, I think the main thing I wanted to take were my boots. I didn't want to take the hat, because I thought I would not travel well with it and ruin it, so I left the hat there in Dallas. How has Southfork changed over the years? Linda Gray: Well, it's become a big business. I mean, every tourist who's ever come to Texas wants to go to Southfork. I think it's their number two tourist attraction. So it's very interesting to drive down that driveway at Southfork, because it brought back so many memories - so many years spent there. It's still small. People are always surprised at how small it is. But then on film, they made it look so big and expansive. You play the theme song and that's a character. You look at Southfork - that's another character. Those were all the characters that embraced the whole series. So they give you what you had before and it's just a bit enhanced. This show really has the potential of hitting both audiences of the original and brand new people who have never seen it before. What does it offer both sets of people that you really want them to know now so that they tune in on June 13th? 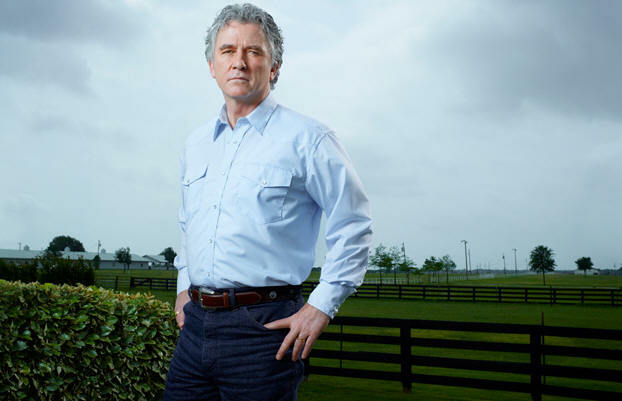 Patrick Duffy: We�ve been approached over the years both to be in a show, or how do we feel about redoing Dallas, or movie versions that didn�t even involve the original cast members and they all fell so far short of even approaching the original show that I didn�t think it was possible to do. As Jesse said, once I saw the script, and Larry and Linda saw the script and read it, we realized not only was it possible but it could end up being better than the original - because of the timely nature of how the scripts were written and what we could do with technology now. So the three of us got onboard and I�ve not been disappointed in a page, a paragraph, or anything since the original pilot episode. So I�m onboard as long as they can squeeze another year out of this old horse. Linda Gray: I think that it will bring our global audience to the new show. There'll be kind of a lock on that one. What will bring them to the new part is that they'll see the extended family. They'll see our children grown up. They'll see their focus in life. They'll see which business they have decided to go into. They'll see a love triangle. It's the expansion of the original show. It still has the same family, but the family has grown and it's expanded. There's still the same rivalry and greed and all this craziness that went on in the first series. It will continue, so I think that you're in for a great ride. CLICK HERE TO SEE WHAT JESSE METCALFE AND JOSH HENDERSON HAD TO SAY TO US IN 2013! #1 � 2012. Courtesy of TNT. All rights reserved. #2 � 2012. Courtesy of TNT. All rights reserved. #3 � 2012. Courtesy of TNT. All rights reserved. #4 � 2012. Courtesy of TNT. All rights reserved. #5 � 2012. Courtesy of TNT. All rights reserved. #6 � 2012. Courtesy of TNT. All rights reserved. #7 � 2012. Courtesy of TNT. All rights reserved. #8 � 2012. Courtesy of TNT. All rights reserved.